Should you try to handle your tax problems on your own or get professional help? That is always the first thought that comes to mind when there is a serious tax problem to deal with. Of course the second thought is how much will this cost. Is the total cost greater or less if you get professional help? 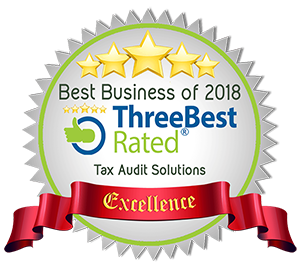 Is hiring Tax Audit Solutions going to cost me money or save me money on my total bill for taxes and help? Do I have all the necessary business records? And do I even understand what CRA is actually asking for? Do I know if my tax returns were properly prepared with the correct audit trail? Do I know how to protect myself from criminal accusations and charges? Is your house or business protected against liens by CRA? Do I know how to have a CRA lien removed? Do you know how to protect yourself against the often brutal tactics of CRA? Do you think your family health and integrity will survive a stressful attack on your family finances by CRA? Do you think your present accountant is equipped, experienced and willing to go to battle for you? Or are they too afraid of CRA themselves. Are you aware that a tax lawyer would still need to get an accountant to get your books in order and would end up costing you ten times what we would charge you? At the end of the audit, when you may still owe money, do you have the knowledge, skills and abilities to negotiate a payment plan with CRA? Do you have a system of restricting the audit information to the minimum legal requirements and not to open the doors to further investigation? Do you know what questions that you do not have to answer? 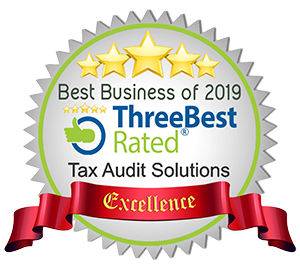 Do you have somebody to take the front line and shield and safeguard you, your business and your family during this audit? Do you know the risks in the Tax Amnesty Program a.k.a Voluntary Disclosure? do you know that this can open you up for a ten year audit where the damages are far worse than if you get a normal audit? Are you aware that you can not get sympathy and understanding from CRA? Do you understand that CRA’s job is to get as much money from you as they possibly can and their incentives are set up to reward them for doing just that? So in your final decision making you have to consider, if you are challenged by paying our reasonable fees, how are you going to be able to afford CRA’s final bill to you which will be larger than what you would pay them combined with our fees if you use our services. I do owe personally, but only because CRA has lied all along. They have decided to Lien my wife’s house that has been her’s since 1995 and she owe’s no tax. They also confiscated funds from her and her daughters joint account, they both do not owe CRA any money. My wife’s income and her inheritance have paid for her house. The title is in her name only. My sister has lent money to my LTD. Company and my wife has allowed her the security of a second mortgage. This is all illegal as far as I can tell. I am trying to deal with CRA but they are unwilling to talk. Should I not demand they remove the lien. Thanks.